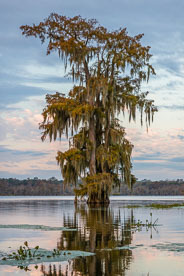 Shrouded Sentinel - A lone bald cypress tree with rust colored leaves stands shrouded in Spanish moss in the shallow waters of Lake Martin outside Breaux Bridge, Louisiana. 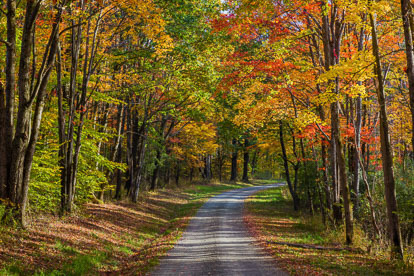 Candy Lane - A narrow gravel road passes through a kaleidoscopic grove of maple trees in the Sugar Hill State Forest outside of Watkins Glen, New York. 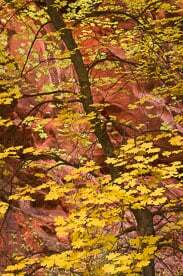 Fall Color Medley - A rocky hillside is covered with a variety of trees and shrubs at the peak of fall color outside of Silver Bay on the North Shore of Minnesota. 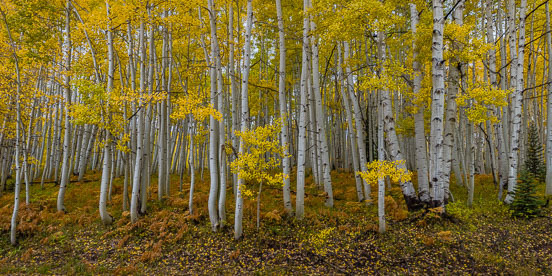 Colorado Gold - A panoramic view of golden aspen trees with blue skies and puffy white clouds overhead in the Gunnison National Forest west of Crested Butte, Colorado. 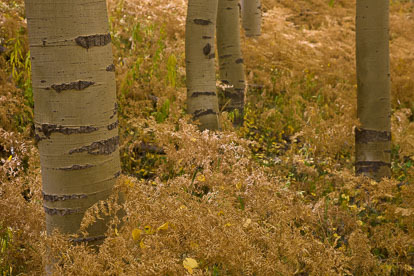 Autumn Harmony - Rust colored ferns carpet the ground beneath a golden aspen grove in the Gunnison National Forest outside of Crested Butte, Colorado. 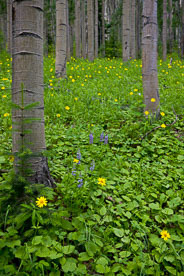 Standing in Gold - Aspen trunks are surrounded by golden thimbleberry plants at the peak of autumn color along Notch Mountain Road in central Colorado. 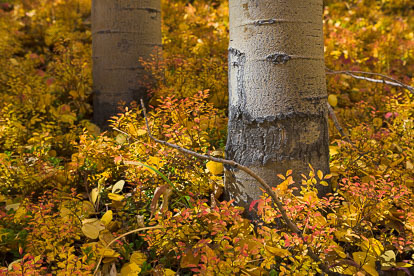 Autumn Medley - A multicolored medley of undergrowth carpets the forest floor beneath a stand of golden aspens along Kebler Pass Road outside of Crested Butte, Colorado. 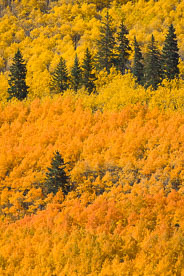 Autumn Color Splash - A panoramic view of a vibrant grove of golden and orange aspen trees along Last Dollar Road outside of Ridgway in southwestern Colorado. 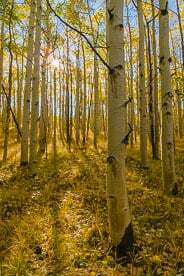 Golden Grove - Autumn sunshine streams through an aspen grove illuminating the forest floor carpeted in golden undergrowth in the San Isabel National Forest outside of Buena Vista, Colorado. 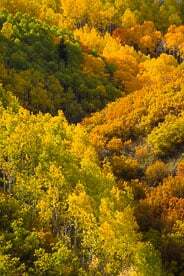 Shades of Autumn - A stand of multi-colored aspens glow in autumn sunlight on a mountainside in northwestern Colorado. 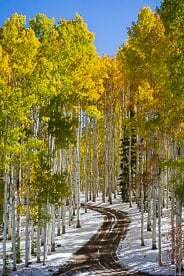 Rainbow Road - A road winds through a snowy stand of multicolored aspens high up along County Road 8 in the Flat Top Mountains in northwestern Colorado. 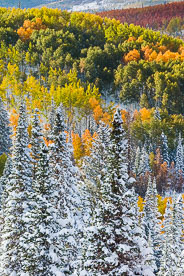 Autumn Diversity - An early snowfall hangs on pine trees and blankets the ground below a hillside covered with aspen trees in a variety of autumn colors in the Routt National Forest outside of Steamboat Springs, Colorado. 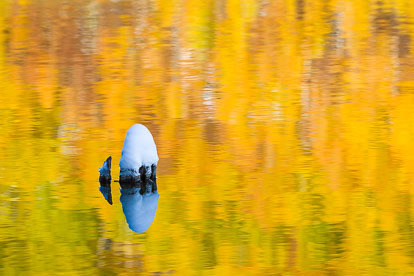 In Golden Pond - The snow-topped tip of a submerged stump protrudes from Crosho Lake amid a rainbow of colors reflected from a hillside of golden aspens in the Routt National Forest in northwest Colorado. 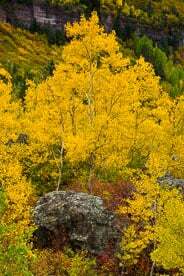 Autumn Ablaze - A mountainside carpeted with aspen trees and scrub oak glows with a variety of autumn colors outside of Oak Creek in northwestern Colorado. 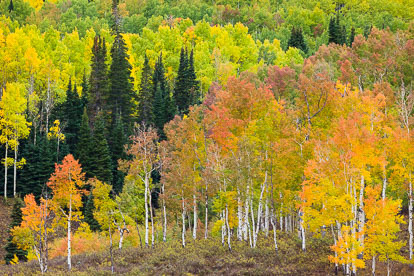 Surrounded by a Rainbow - A stand of pine and fir trees is surrounded by aspens with various stages of vibrant fall foliage outside of Steamboat Springs, Colorado. 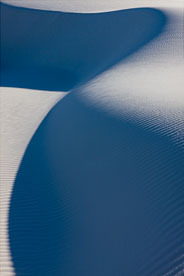 Left Turn - Light playing off of sand dunes and the shadows that are cast create an interesting curving pattern in White Sands National Monument, New Mexico. 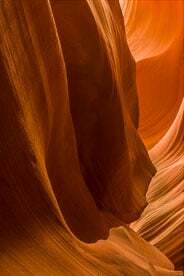 The Demon - Layers of glowing red rock create the illusion of a demon's head in Lower Antelope Canyon outside of Page, Arizona. 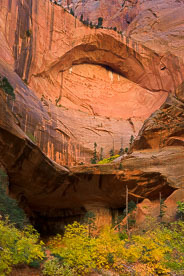 Up Against the Wall - A lone golden cottonwood tree stands in an alcove in the sheer red rock walls of the Narrows in Zion National Park, Utah. Me and My Rock - A golden maple tree stands in front of a large red rock in a river valley in Zion National Park in Utah. Aspen Aglow - Late afternoon sunshine highlights a multicolored stand of aspens along Kebler Pass Road outside of Crested Butte, Colorado. 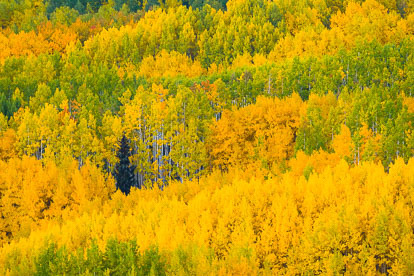 Shades of the Season - Aspen trees with leaves ranging from green to gold to red in a grove outside of Crested Butte, Colorado. 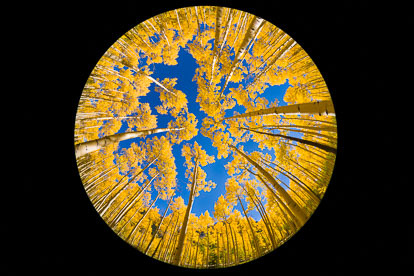 Eyeball Aspen View - A fisheye view of a golden aspen canopy against a blue sky outside of Buena Vista, Colorado. 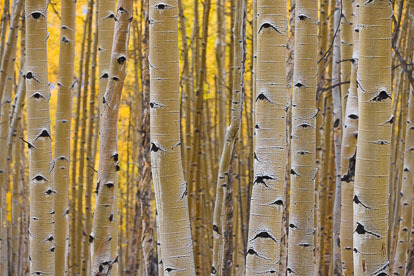 Golden Aspen Grove - The sun filters through a golden aspen grove along Aspen Ridge outside of Buena Vista, Colorado. 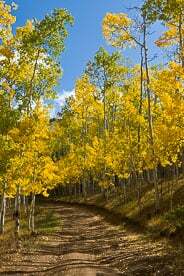 Aspen Ridge Road - A road winds through golden aspen trees along Aspen Ridge outside of Buena Vista, Colorado. 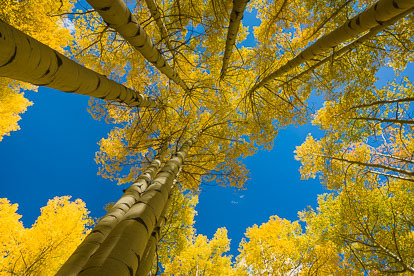 Reach for the Sky - Golden aspen trees tower into the brilliant blue sky along Aspen Ridge outside of Buena Vista, Colorado. 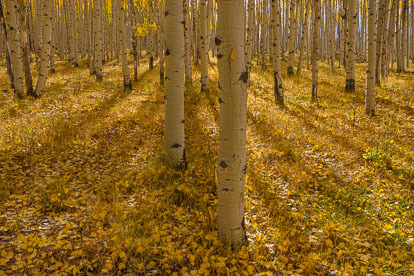 Autumn Aspen Grove - Sunlight filters through an aspen grove highlighting the fallen golden leaves along Aspen Ridge outside of Bunea Vista, Colorado. 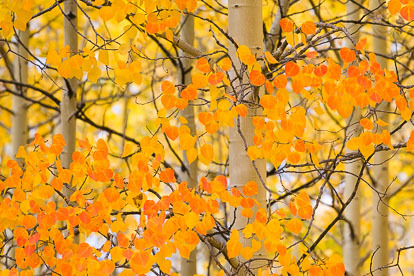 Orange and Gold - Orange leaves mixed in among the golden foliage in an aspen grove along Aspen Ridge outside of Bunea Vista, Colorado. Golden Aspen Grove after Rain #3 - Rain dampened golden aspen grove along Aspen Ridge outside of Buena Vista, Colorado. 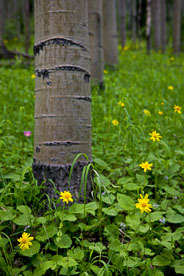 Golden Aspen Grove after Rain #4 - Rain dampened golden aspen grove along Aspen Ridge outside of Buena Vista, Colorado. Golden Aspen Grove after Rain #1 - Rain dampened golden aspen grove along Aspen Ridge outside of Buena Vista, Colorado. Golden Aspen Grove after Rain #2 - Rain dampened golden aspen grove along Aspen Ridge outside of Buena Vista, Colorado. 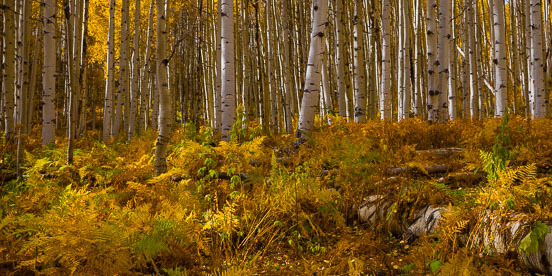 Aspen Trunks among Autmn Foliage #1 - Aspen trunks stand in a forest floor covered with bright golden aspen leaves and red foliage along Aspen Ridge outside of Buena Vista, Colorado. 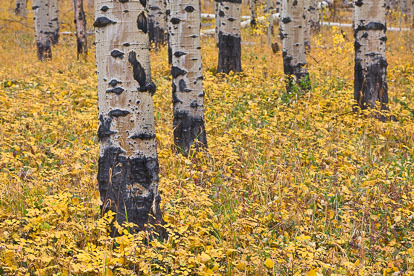 Aspen Trunks among Autmn Foliage #2 - Aspen trunks stand in a forest floor covered with bright golden aspen leaves and red foliage along Aspen Ridge outside of Buena Vista, Colorado. 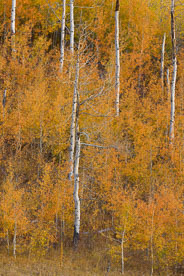 Pines and Aspens - Pine trees are surrounded by orange and golden aspen trees outside of Nathrop, Colorado. 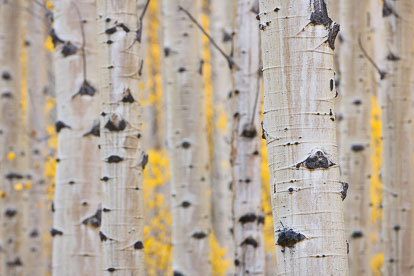 Lonely Pine - A lone pine tree stands in a grove of orange aspens outside of Nathrop, Colorado. 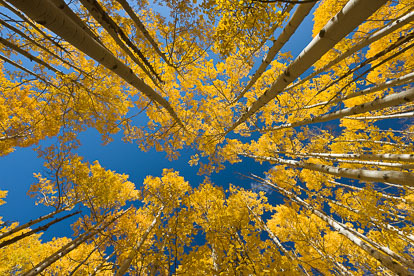 Golden Aspen Canopy - A canopy of golden aspen trees highlighted against a deep blue sky outside of Buena Vista, Colorado. 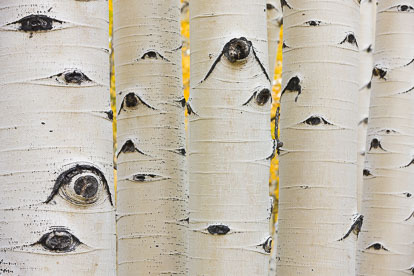 Aspen Boles - Bright white aspen boles with golden leaves in the background outside of Buena Vista, Colorado. 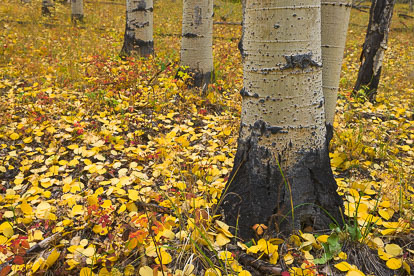 Golden Grove - The forest floor in an aspen grove is covered with golden leaves outside of Buena Vista, Colorado. 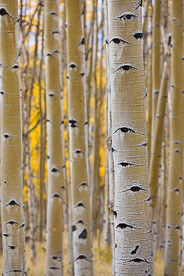 Aspen Study - Aspen boles with golden leaves in the background outside of Buena Vista, Colorado. 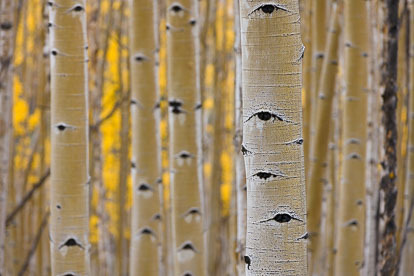 Beneath the Aspen - Aspen trunks are surrounded by colorful fall foliage outside of Buena Vista, Colorado. 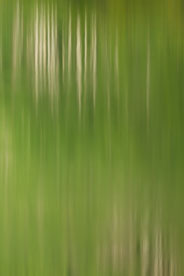 Summer Aspen Grove Reflection - The white trunks and bright green leaves of an aspen grove reflect in Maroon Lake outside of Aspen, Colorado. 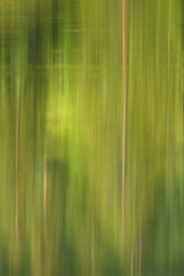 Pine Tree Reflection - Tall pine trees produce an interesting reflection on Maroon Lake outside of Aspen, Colorado. 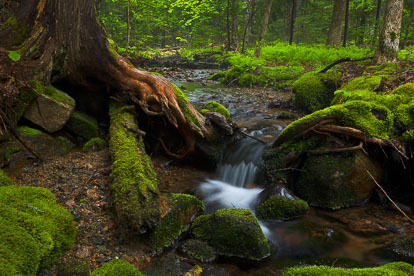 In the Woods of Acadia - A small stream flows a misty forest in Acadia National Park, Maine. 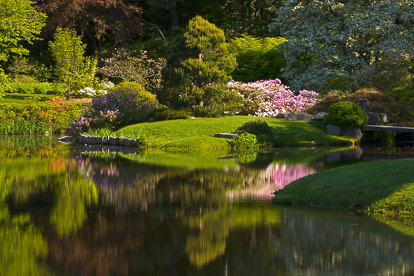 Asticou Azalea Garden - Colorful flowers reflect in a pond at Asticou Azalea Garden in northeast Maine. 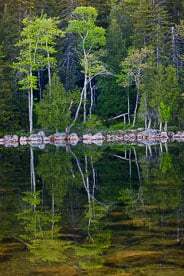 Jordan Pond Reflection #4 - Trees with bright green foliage are reflected in Jordan Pond at Acadia National Park in Maine. 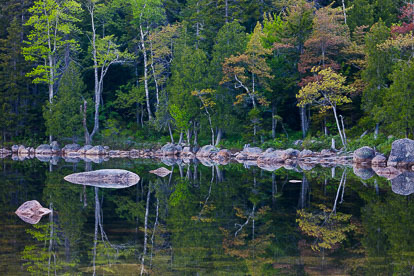 Jordan Pond Reflection #3 - A shoreline covered in a colorful collection of colors is reflected in Jordan Pond at Acadia National Park in Maine. 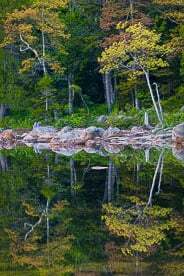 Jordan Pond Reflection #2 - A shoreline covered in a colorful collection of colors is reflected in Jordan Pond at Acadia National Park in Maine. 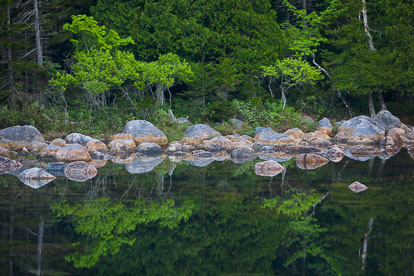 Jordan Pond Reflection in Green - Trees with bright green foliage are reflected in Jordan Pond at Acadia National Park in Maine. 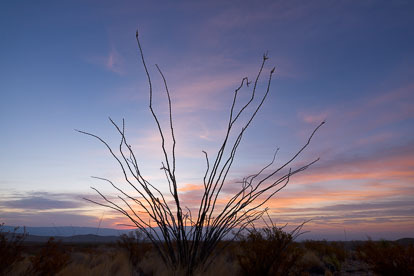 Ocotillo Sunrise - An ocotillo plant is silhouetted against a pink and blue sky at sunrise in Big Bend National Park in Texas. 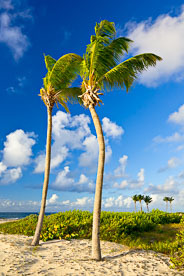 Palm Trees on Merrywing Bay - Palm trees along Merrywing Bay in Anguilla, BWI. 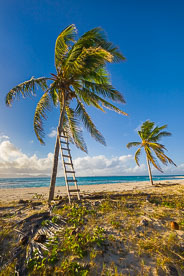 Palm Tree with Ladder - Palm trees along Merrywing Bay in Anguilla, BWI. 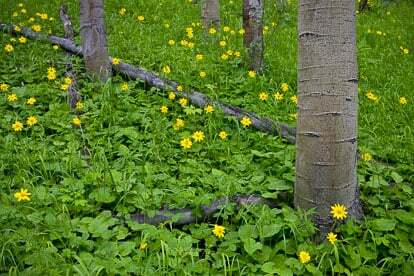 Canyon Contrast - The bright yellow leaves of a maple tree contrast with the red canyon walls in Spring Creek Canyon outside of Kanarraville, Utah. Rising above the Canyon - The Great White Throne towers above a canyon filled with fall foliage in Zion National Park, Utah. 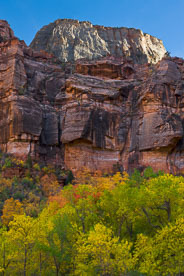 Zion Autumn Color Contrasts Panorama - Panoramic image of multicolored fall foliage at the base of red rock walls in Zion National Park in Utah. 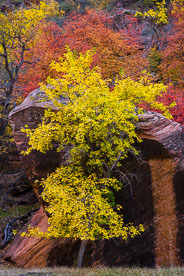 Autumn at Double Arch Alcove - The glowing walls of Double Arch Alcove are highlighted by autumn colors in Zion National Park, Utah. 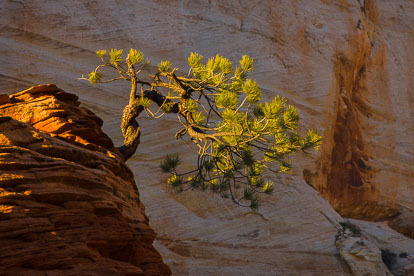 It's a Hard Life - A twisted pine tree grows out of a red sandstone formation on the Zion Plateau in Zion National Park. 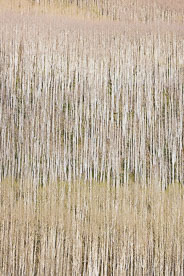 New Growth - Springtime brings new growth to stark white aspen trunks along Castle Creek Road outside of Basalt, Colorado. 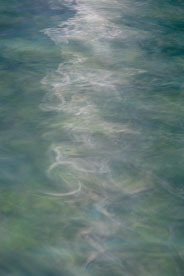 Aquamarine Reflection - A dead tree trunk creates a mesmerizing reflection in the aquamarine water of Hanging Lake outside of Glenwood Springs, Colorado. 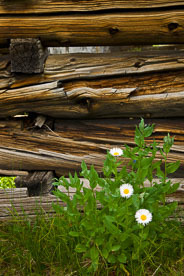 Amongst a Ghost Town - Flowers grow beside the logs of a ghost town structure in Independence, Colorado. 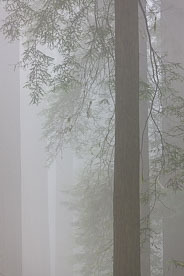 Standing in Silence - Fog envelopes a group of redwood trees in Del Norte Redwoods State Park in northern California. 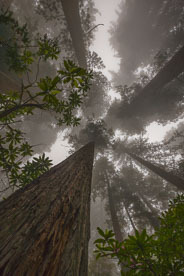 Search for the Sun - Towering redwood trees reach skyward through dense fog along Damnation Creek Trail in Del Norte Redwoods State Park, California. 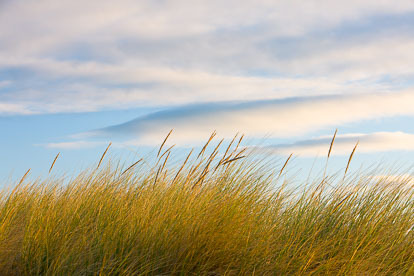 Grasses in the Breeze - Sea breezes gently blow the grasses along the coast of the South Island in New Zealand. 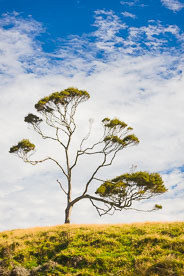 Reach for the Sky - The branches of a beech tree contrast with the white clouds in the sky on the South Island of New Zealand. 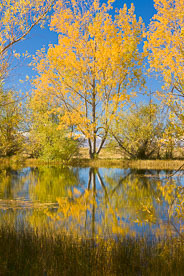 Golden Reflection - Golden trees and blue skies reflect in a pond on the South Island of New Zealand. 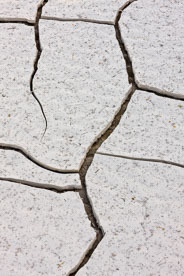 Parched Earth - A dried lake bed cracks from the desert heat in Death Valley National Park, California. 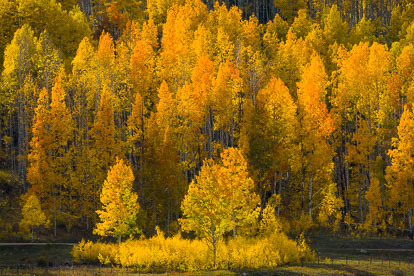 Aspen Glory - Golden aspen leaves contrast with white aspen trunks outside of Ridgway, Colorado. 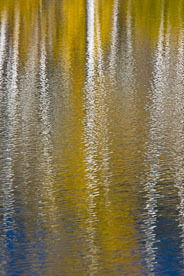 Bands of White - A rippled lake reflects aspen trunks and golden foliage at Woods Lake in southern Colorado. 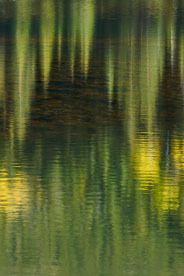 Green Glow - A rippled lake reflects the sun shining on pine and aspen trees at Woods Lake in southern Colorado. 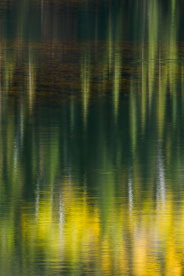 Greens and Gold - A rippled lake reflects the sun shining on pine and aspen trees at Woods Lake in southern Colorado. 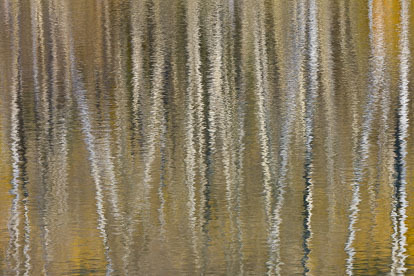 Rippled Aspen Reflection - A slight breeze creates ripples in the reflection of brilliant gold aspens at Woods Lake in southern Colorado. 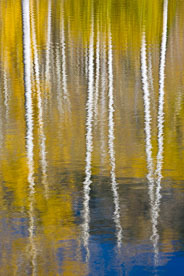 Shimmering Aspen Reflection - A shimmering lake reflects aspen trunks and golden foliage at Woods Lake in southern Colorado. 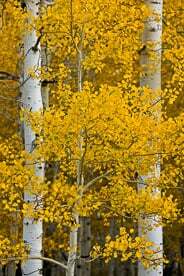 Gold and White - Brilliant gold leaves contrast with the white trunks of the aspen trees in a grove along the Silver Jack Reservoir outside of Ridgway, Colorado. 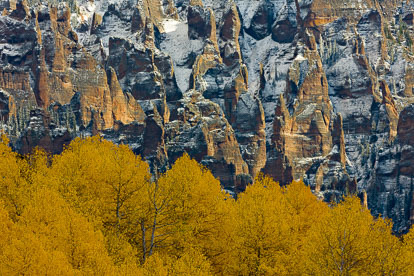 Red Rocks and Golden Aspens - Golden aspens contrast with a red rock face dusted with snow aoutside of Ridgway, Colorado. 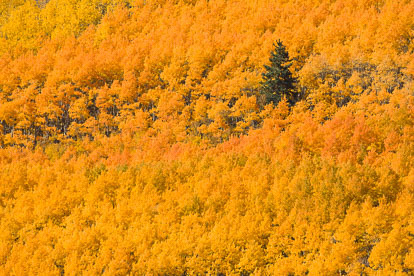 Aspens on Fire #3 - Pine trees stand out surrounded by glowing golden aspens outside of Crested Butte, Colorado. 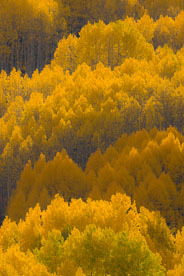 Aspens on Fire #2 - The afternoon sun catches the golden leaves of aspen trees and makes them glow outside of Crested Butte, Colorado. 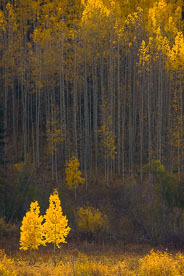 Aspens on Fire #1 - A pair of young aspen trees get the spotlight from the afternoon sun that causes them to glow outside of Crested Butte, Colorado. 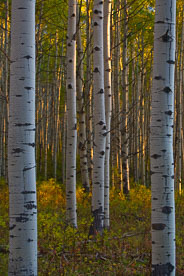 Spotted Aspen Grove - Sunlight streams through a grove of aspen trees that seem to have spotted trunks outside of Crested Butte, Colorado. 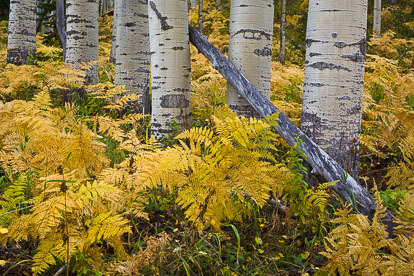 Golden Ferns and Aspen Trunks - The aspen trunks in a grove are surrounded by golden ferns outside of Crested Butte, Colorado. 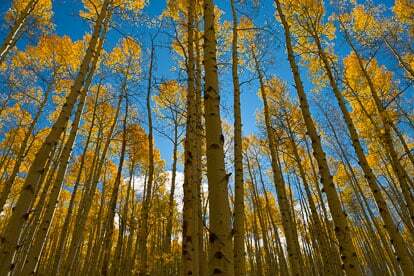 Golden Aspen Canopy - Golden aspen trees reach towards the brilliant blue skies of autumn outside of Crested Butte, Colorado. 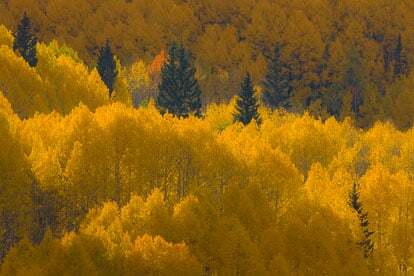 Alone in Aspen Splendor - A lone fir tree is surrounded by gold and green aspens outside of Crested Butte, Colorado. 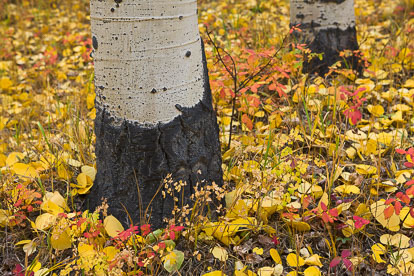 Orange and White - White aspen trunks contrast with their orange leaves on a hillside outside of Jackson, Wyoming. 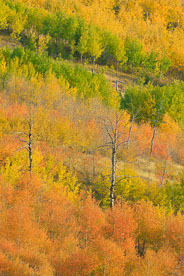 Pastel Hillside - Orange, yellow, and green aspen trees on a hillside outside of Jackson, Wyoming. 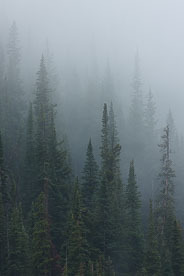 Pines in Summer Rain - A light summer rain envelopes a stand of pine trees on the side of a mountain outside of Crested Butte in Colorado. 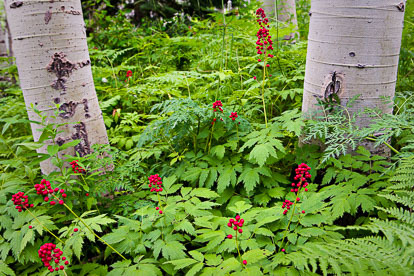 Berries and Aspen Trunks - Wild berry clusters growing at the base of aspens outside of Crested Butte, Colorado. 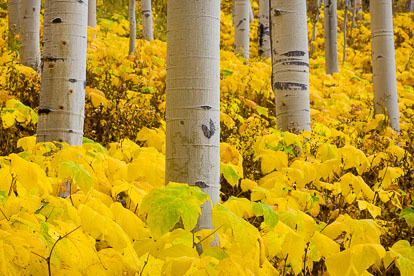 Aspens and Arnicas #1 - Bright yellow arnicas grow among aspens outside of Granite, Colorado. 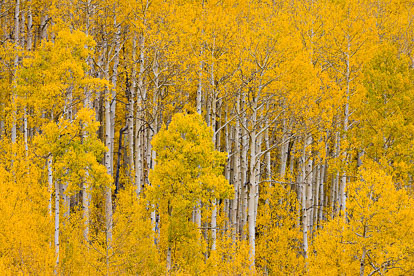 Aspens and Arnicas #2 - Bright yellow arnicas grow among aspens outside of Granite, Colorado. 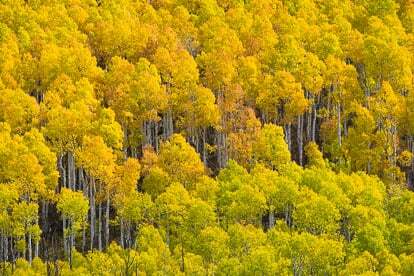 Aspens and Arnicas #3 - Bright yellow arnicas grow among aspens outside of Granite, Colorado. 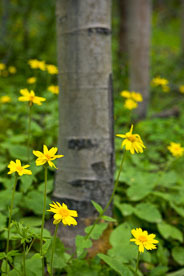 Aspens and Arnicas #4 - Bright yellow arnicas grow among aspens outside of Granite, Colorado. 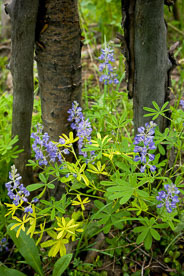 Lupines and Aspen Trunks - Lupines grow at the base of aspens outside of Granite, Colorado. 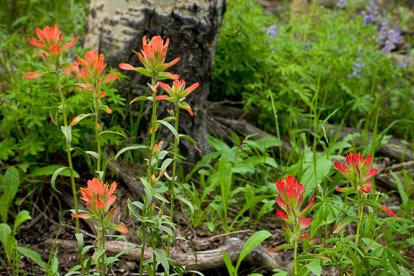 Paintbrush Amongst Aspens - Bright orange and red paintbrush at the base of an aspen tree outside of Granite, Colorado. 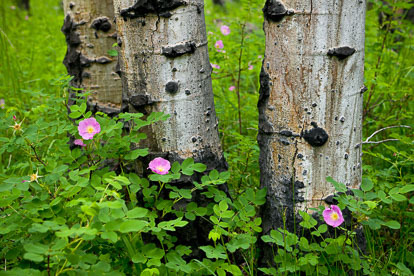 Wild Roses and Aspen Trunks - Wild roses bloom in an aspen grove outside of Granite, Colorado. 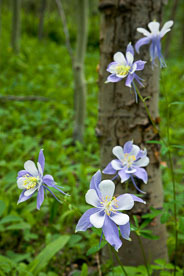 Columbines and Aspen Trunks - Blue columbines bloom among the aspens outside of Granite, Colorado. 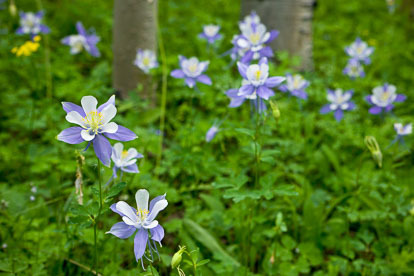 Columbines Everywhere - Blue columbines bloom everywhere among the aspens outside of Granite, Colorado. 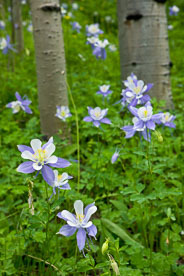 Columbine Carpet - Blue columbines bloom among the aspens outside of Granite, Colorado. 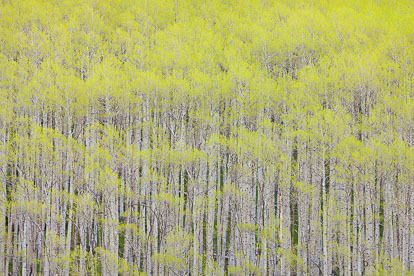 Spring Green Aspens - The first leaves of spring turn an aspen grove bright green outside of Aspen, Colorado. 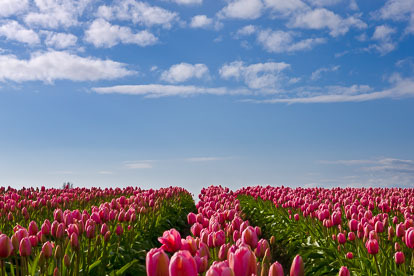 Pink Tulip Horizon - Rows of pink tulips disappear over the horizon in Skagit Valley, Washington. 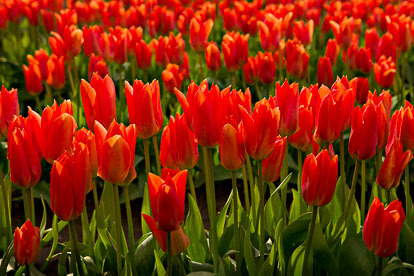 Brilliant Orange Tulips - A field of bright orange tulip blossoms in Skagit Valley, Washington. 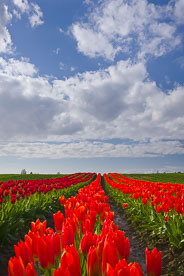 Orange and Red Tulip Horizon - Vertical - Orange and red tulips disappear into the distance in Skagit Valley, Washington. 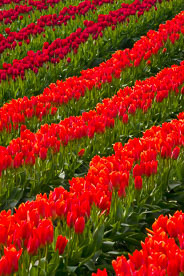 Orange and Red Tulip Hillside - A hillside covered in rows of red and orange tulips in Skagit Valley, Washington. 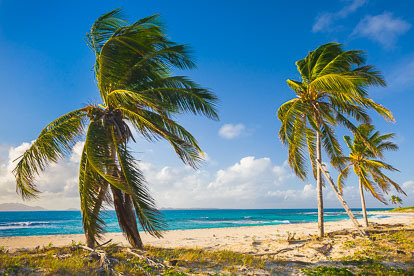 Palm Trees in the Breeze - Palm trees sway in the gentle ocean breeze off Merrywing Bay in Anguilla, BWI. 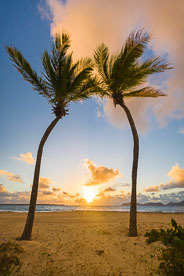 Twin Palm Tree Sunrise - The sun rises over the horizon between two palm trees on Merrywing Bay in Anguilla, BWI. 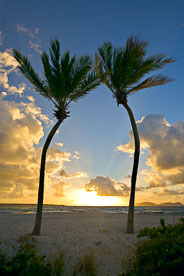 Sunrise between the Palm Trees - The sun rises between two graceful palm trees at Merrywing Bay in Anguilla, BWI. 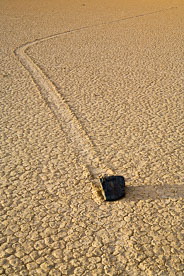 On the Move - The track in the playa left by this rock leaves wonder of how it moved on the Racetrack in Death Valley National Park, California. 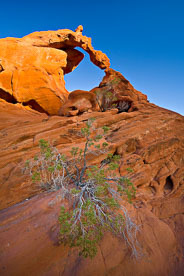 Out of the Rocks - A bush grows from the rocks beneath Ephemeral Arch in Valley of Fire State Park in Nevada. 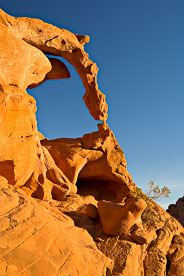 Ephemeral Arch Sunset - Ephemeral Arch glows in the setting sun at Valley of Fire State Park in Nevada. 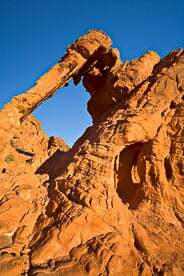 Elephant Arch - Elephant Arch glows in the morning sun at Valley of Fire State Park in Nevada. 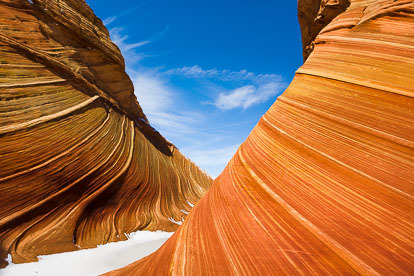 Snowy Wave - Fresh snowfall covers the floor of the red rock formations at The Wave in northern Arizona. 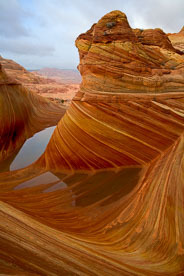 Water and Waves - Water stands at the base of the sandstone formations at The Wave in northern Arizona. 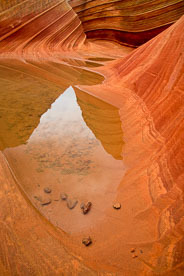 Wave Pool - The formations at The Wave reflect in a pool of water in northern Arizona. 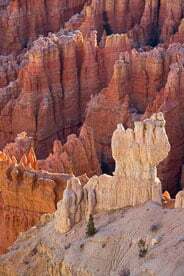 White and Red - A white rock formation stands out in front of the other orange and red formations of Bryce Canyon National Park in Utah. 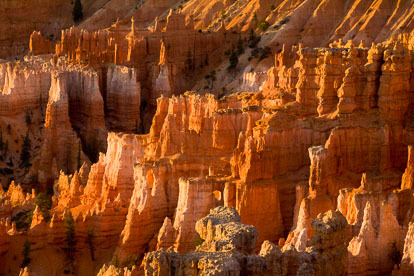 Glowing Spires - The early morning sun causes the spires to glow in Bryce Canyon National Park in Utah. 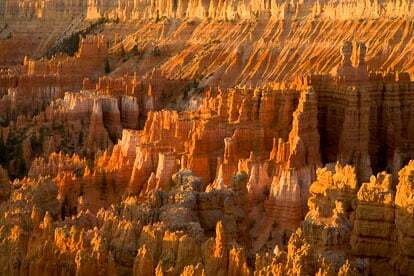 Multicolored Vista - A view of glowing spires in the canyon from Sunset Point at Bryce Canyon National Park in Utah. 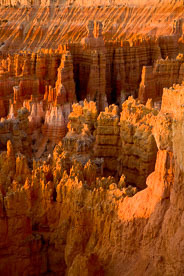 Melting Rock - The multicolored spires look as if they have melted at Bryce Canyon National Park in Utah. 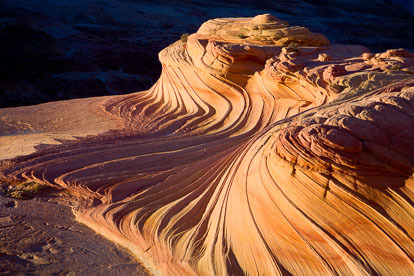 Second Wave at Sunset - Horizontal - The golden rays of sunset illuminate the sandstone swirls of The Second Wave in northern Arizona. 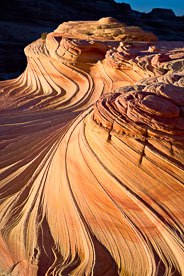 Sandstone Swirls - The golden rays of sunset illuminate the sandstone swirls of The Second Wave in the Paria Canyon Wilderness Area of northern Arizona. 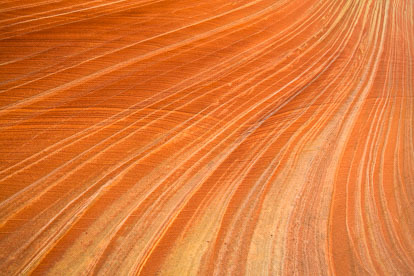 Sandstone Swirl - The colored sandstone swirls of The Second Wave in northern Arizona. 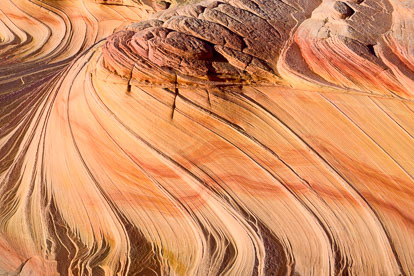 Sandstone Patterns - Flowing patterns in the red sandstone walls of The Wave in northern Arizona. 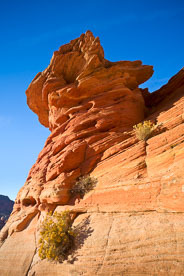 Sandstone Fins - Sandstone rock fins in the Coyote Buttes area in northern Arizona. 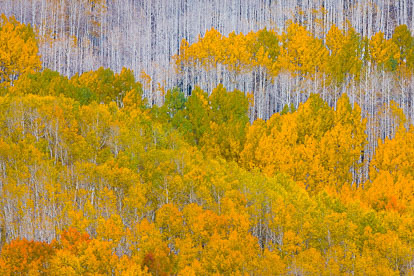 The Colors of Fall - All the colors of Colorado in the fall are presented on a hillside outside of Telluride, Colorado. 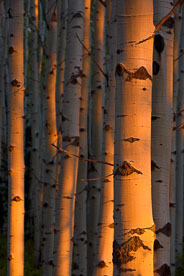 Aspens in Sunset Light - Orange sunset light illuminates the trunks in an aspen grove outside of Crested Butte, Colorado. 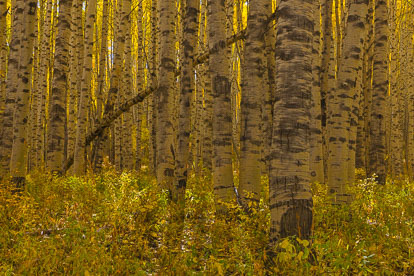 Late Day Light in the Aspens - Late day light streams through an aspen grove illuminating the gold and green undergrowth outside of Crested Butte, Colorado. 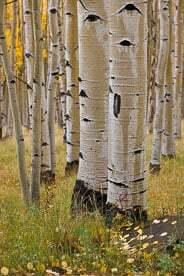 Aspens and Golden Ferns - The trunks of a grove of aspen trees are surrounded by gold leaved ferns along Kebler Pass Road outside of Crested Butte, Colorado. 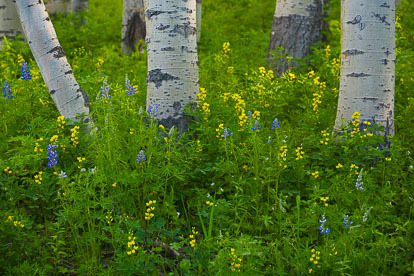 Aspen Grove Wildflowers - Early spring wildflowers surround the trunks of a grove of aspens along Kebler Pass Road near Crested Butte, Colorado. 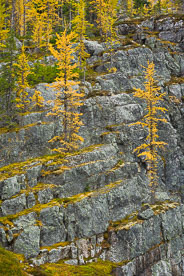 Golden Larch - Golden larch trees among the rock cliffs on the Opabin Plateau in Yoho National Park, British Columbia, Canada.